The natural beauty, abundant wildlife and year round great weather offers you a getaway second to none. Isla is a charming island with great character. The restaurants offer a variety of international flavors: Italian, French, Caribbean, Cuban, Mexican and American. A vibrant downtown is just a ten minute cab ride away. Great food, shopping and nightlife when you want it and peace and quiet whenever. With snorkeling, diving, great fishing, beautiful white sandy beaches and locals that truly are glad you are there will make your vacation one to remember. Swim with the dolphins, visit the turtle farm or relax on the beach, something for everyone. total of three owners, two in vail, colo. and one in palm harbor, fla.
three friends fell in love with the location and decided to build there. we all love it and enjoy the house every year. isla is so friendly and safe as there is a navy base on the island and the shops and rest. are indiv. owned, no chains, and the locals take great pride in the quality of the food and the cleanliness of the island. view of high rise hotels of cancun 7 mi. away, beautiful at night. golf carts have room in the driveway. large frig. , best to buy a lg. bag of ice for drinks. outside table for 6 or more. bring your phone or ipod , we have a unit in the kitchen that you can use inside and out. I will send you an attachment when you book with all there is to do on the island. This property was amazing. It’s on the south end of the island so it’s a bit more quiet than the northside, but if you’re looking for relaxing and chill this is definitely the place. The house came with all the amenities you need for a normal daily living and extreme luxury. Relaxing by the pool was definitely the highlight. The kitchen was fully stocked with all the cooking utensils. We were able to go grocery shopping and cook as if we were at home. The knives were even freshly sharpened. If you are going to rent this house you’ll definitely need a golf cart as most of the action on the island is a few miles north. If you’re going to take a taxi there are usually plenty of them on call just one block away and they cost about 100 to 150 pesos to get to the north end of the island. Santiago was the individual Who checked us in and out; he was very helpful respectful and knowledgeable about the area. We will definitely be back especially if we’re with family! Couldn’t get a better view of the water and sunset than from anyplace in the house yard or pool. Very clean everything you needed to never leave this beautiful villa if you didn’t want to. The town, food and people are amazing! Can’t wait to return! My daughter was married at Zama, and this house was the backdrop for the bridesmaid breakfast and the first look with her new husband. It was perfect, I will never forget her walking down that wonderful stair. The professional photographers raved about the light and views, and we can't agree more. Thank you Rick Cuny, it was absolutely perfect. The hardest part was leaving!! It's clean, has amazing views and is well equipped. We will stay again and again. Family of 5 stayed for 5 nights. Loved that all the rooms have their own bathroom and big beds. The pool and view are amazing. Highly recommend Casa La Bella! 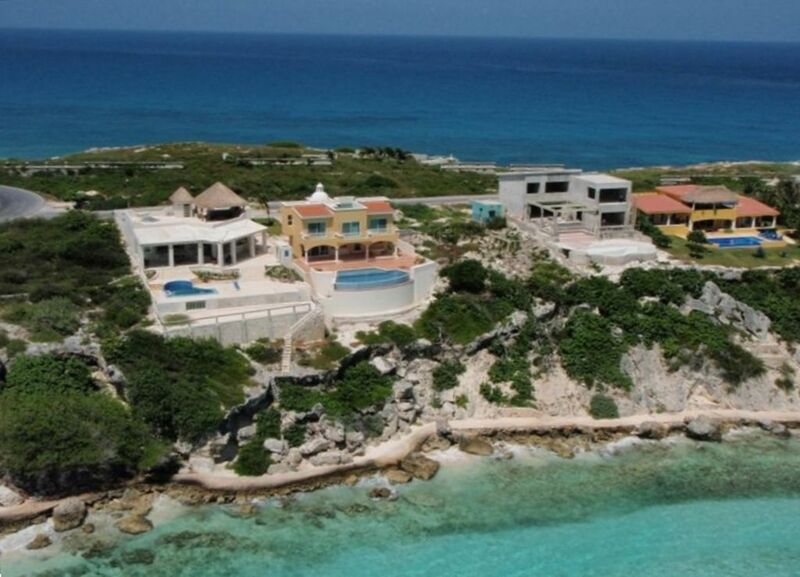 We had a marvelous week in Isla, highlighted by our stay at Casa la Bella. The property is as beautiful and well maintained as the pictures indicate. Comfortable beds, well appointed kitchen and of course the pool! Views are breathtaking and relaxing at the same time. The management team is excellent as well, very helpful and easy to connect with. Our family spent last week at this property and would do so again. we will send you an attachment with lots of info about the island, and our manager will help you arrange for anything you want, carts, chef, etc. Holiday (Christmas/New Years) rates will be higher. Inquire about off-season pricing.